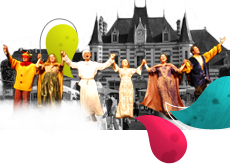 Through twinning and exchanges, Vitré’s eight twin towns regularly share their exoticism, fostering an openness to the world. Since 1979, the twinning committee has been organising educational, cultural, tourist and sports exchanges between Vitré and its eight twin towns. For more than 30 years, it has been encouraging intellectual enrichment, understanding and solidarity between the towns’ peoples. It also provides foreign language classes in Vitré for children and adults. Vitré is twinned with eight towns. Helmstedt in Germany, Lymington in England, Greece in America, Terrebonne in Quebec, Villajoyosa in Spain, Djenné in Mali, Sroda in Poland and Talmaciu in Romania. In 2009, Vitré celebrated 30 years of twinning. 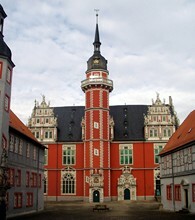 Helmstedt.jpg (Helmstedt) Helmstedt, a town of 28,000 inhabitants, is situated in Lower Saxony in the north of Germany. This town has undergone spectacular development and, like Vitré, is dedicated to promoting town planning and establishing business parks. The local economy is characterised by a large number of SMEs. The town retains the fine architecture of its past and the impressive university building is evidence of its intellectual vitality. Helmstedt boasts a highly dynamic community spirit (gardening society, hunting and shooting society, and more) and a cultural life characterised by its many orchestras, choirs and theatre companies. One of the most popular sports is gliding, a leisure activity and competitive sport in which its participants, known as gliders, use an aerodyne called a glider. Lymington.jpg (Lymington) Situated at the west entrance to the Southampton estuary, the port of Lymington offers a tranquil atmosphere. This English town is home to 14,000 people and, just like Vitré, is characterised by its quality of life and a dynamic community spirit. Down at the port, the boat construction and repair business thrives. An important feature of its commercial activity is the Saturday market, held in the High Street. Community and cultural life finds its home at the Community Centre. 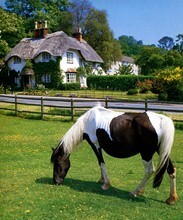 Near Lymington, the Beaulieu National Motor Museum and the Buckler’s Hard Maritime Museum are a great day out. Tourism is one of the town’s key industries, and there is a wealth of water sports to get involved in (boating, kayaking, and more). Terrebonne.jpg (Terrebonne) 12 miles north of Montréal, Terrebonne is a francophone community situated on a stretch of the St Lawrence river (Rivière-des-Mille-Îles) close to the Laurentides and the mountains. The new town of Terrebonne owes its history to the colonisation and expansion of its three districts: Lachenaie, La Plaine and Terrebonne, three once separate towns that were amalgamated in 2001, taking the town’s population from 40,000 to 106,000. This town in Quebec (Canada) shares similarities with Vitré both through its language and the development of a range of industrial and commercial activities. Situated along the Rivière-des-Milles-Îles, the old town of Vieux-Terrebonne is considered one of the richest features of Quebec’s heritage, dotted with architectural constructions worthy of the finest seigniorial domains of the 18th and 19th centuries. Djenné.jpg (Djenné) Djenné is a municipality and town built on an island in Mali, West Africa. A Unesco world heritage site, Djenné is the bridge between the nomadic and the settled. Geared towards agriculture, cattle farming and fishing, Djenné is also home to arts and crafts, and tourism. Indeed, tourism is one of the main industries in this town of 33,000 inhabitants. Its mud-brick mosque, also a Unesco world heritage site, its famous marabouts and its Koranic schools make Djenné a recognised religious centre. Football and basketball matches shape the town’s sporting life. The Vitré-Djenné society cemented the twinning by setting itself three objectives: understanding, awareness and cooperation based on mutual respect. Villajoyosa.jpg (Villajoyosa) Villajoyosa, a small-scale fishing port, has the merit of having preserved its authentic character. Located between the sea and the mountains, this town of 28,000 inhabitants comes to life in summer for its annual ‘Moros y Cristianos’ festival. Villajoyosa is famed for its multicoloured houses, which are currently part of an enhancement programme. Its moderately mountainous countryside offers pleasant walking opportunities. As a coastal town, most of its economic activity is centred around fishing and tourism. The coastline and the marina provide the opportunity for a number of water sports: sailing, windsurfing, and underwater fishing. This tourist destination is based on four pillars: sun and sand, culture, entertainment and gastronomy. The fundamental features of this so-called gastronomic town are its restaurants, fishing and chocolate. Greece.jpg (Greece) Home to 96,000 people and situated on Lake Ontario, Greece borders Rochester in the state of New York. Created on proposals from schools, this twinning is an interesting pedagogical tool; four of Greece’s high schools maintain close ties with Vitré. Well exposed on the the south bank of Lake Ontario, Greece boasts a special location close to the Finger Lakes and Niagara’s famous waterfalls. Greece’s culture is intertwined with Rochester’s and characterised by its famous museums and theatres. Basketball, American football and soccer (European football) matches shape the town’s sporting life. The town’s inhabitants get involved in community life, which revolves around different subjects such as religion and the neighbourhoods. Sroda.jpg (sroda) Sroda, a town in west Poland, sits at the intersection of major trade routes. 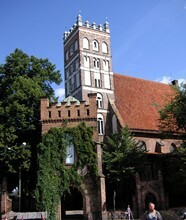 It is believed that a trade fair, which no doubt took place every Wednesday (Sroda in Polish), led to this town’s creation. Sroda is today home to 21,000 people and its economic activity is concentrated on industries such as agriculture, flour, dairy, textiles, and oil. 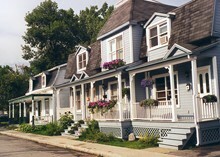 The town’s community life is centred on arts (music, painting), sports (football, hockey), chess, and philately. The library is a popular destination, especially when it’s time for ‘Library Thursdays’, an event that welcomes authors. The Harvest Festival and the Festival of St John are two of the town’s major events. Talmaciu.jpg (Talmaciu) Talmaciu is a town in Transylvania (Romania), near the great Carpathian forest, with 9,600 inhabitants. The economy is based mainly on agriculture and cattle farming. The nearby forests have led to the development of the wood and textile industries. Its cultural and community life revolves around its library, folk groups and societies. The most popular sport is football, while Talmaciu also has a national-level bowling team. Situated close to the Carpathian forest, the town is also a great base for mountaineering and skiing. 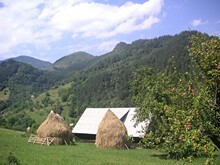 Thanks to its location, the region is a popular tourist destination with its countryside, mountains, heritage (monasteries).